The traditional Marbella cuisine belongs to the region of Málaga and is based on the “Mediterranean Diet”, known the world over for the use of healthy, natural produce: fresh fish, meat, fruit and vegetables, pulses, cured meats, cheeses and, of course, the fabulous Andalusian olive oil for both cooking and eating. Tapas will always be on the list for visitors and locals alike: there is just something very special about sharing little dishes of mixed foods with family or friends. Many would say that the flavours are enhanced thanks to the informal chats that accompany tapa meals, which would be hard to argue against. Being a coastal region, fish and shellfish are, of course, a big item on the menu! Typical fish include the now internationally popular Spanish “fried fish” or pescaíto whose preparation, many say, is an art in itself: beautifully fried fresh anchovies, mullet, baby squid, to mention just a few. Equally popular are fried fish done in a very light batter: lemon anchovies and sardines, adobo (white fish marinated in either vinegar or lemon and deep fried), squid rings, just start the list…. 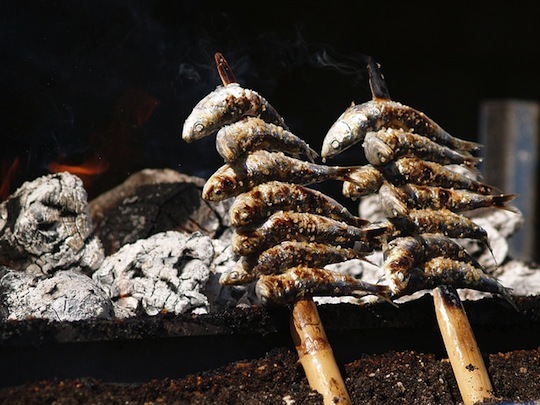 Two MUST EATS include sardine espetos (a speciality of the beach chiringuitos – cooked on wooden skewers near burning logs, much like a BBQ but instead of sitting over the heat, they sit on the side – BE CAREFUL!! the Spanish say you should NEVER eat sardines in a month which has an “r” in its name – because it´s a fish that is at its best during the summer months). The other MUST EAT is, of course, any large fish cooked in salt or a la sal. This doesn´t mean that the fish is super-salty, as a matter of fact the way that it is cooked protects and locks in all the natural flavours of the fish, while keeping it lovely and moist. The fish is literally encased in a shell made out of sea salt which is sprinkled with water and put in the oven. The heat causes the water and the salt to create a hard crust all around the fish, maintaining the natural flavours and moisture. You will certainly also enjoy the ceremony that is performed at the table when they bring out the fish to serve it! Also with a big presence on the menu is meat: excellent cuts from local and provincial producers can be found on most menus. 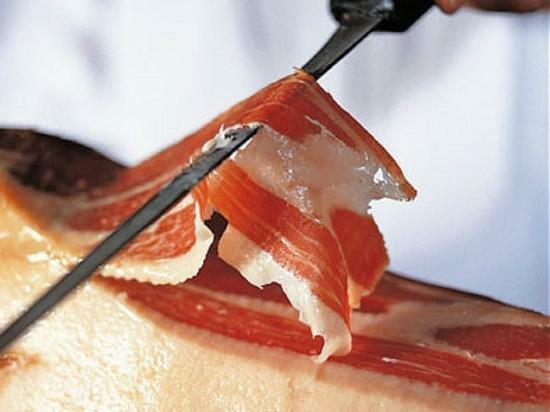 Well worth trying is the local Iberian pork (presa ibérica) which each restaurant will present with their own trademark. No matter what the meat, and whether it is cooked over the grill or with a sauce, you shouldn´t be disappointed. The Mediterranean diet simply would not be complete without stews: a mix of wholesome flavours pulled together from fresh vegetables, pulses, meat and sometimes including that fabulous Spanish ingredient, the chorizo, and/or local black pudding (morcilla). Perfect for the few “cold” days we have in Marbella, after a long walk on the beach with the sea air helping to open up an appetite!! The warm all-year-round climate and the hot summers place fresh fruit and vegetables, as well as salads, high on the list of favourite foods. One salad that must be tried is the Málaga Salad (ensalada malagueña) and each time I suggest it to visiting family and friends, I see how the shadows of doubt cross their faces, only to change to looks of surprise and pure delight once they have tried it. A curious combination of chunks of cold potato, cod, olives and slices of orange in an olive oil dressing, make it sound quite strange but that is where the great surprise is! Try it, it´s really good. The Málaga area is famous for its production of raisins and avocados, citric fruits, chestnuts, etc. 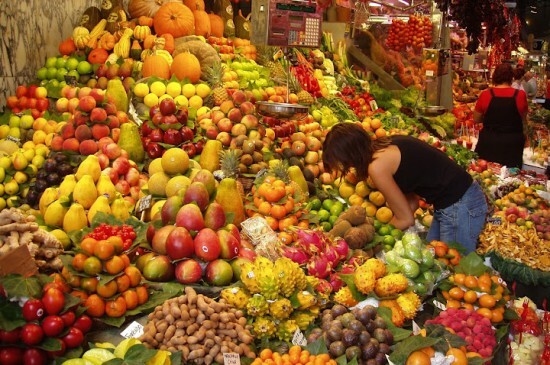 and is the highest producer of organic foods in Andalusia. Málaga also produces its own wine Vino de Málaga which is a sweet sherry-type wine to be enjoyed in the typical Spanish bodegas. 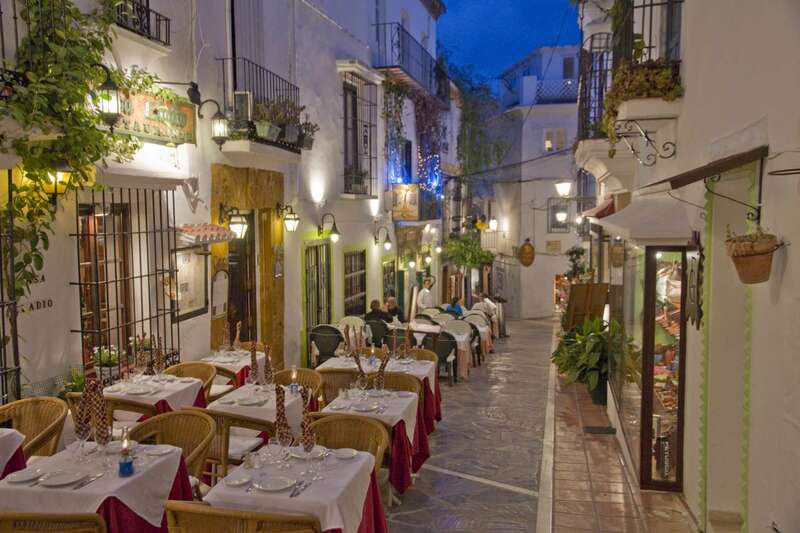 Marbella has a huge range of restaurants offering food and flavours from every continent in the world. As well as local and national fare, and the international dishes loved by all, you will also find restaurants offering the newer, more experimental tastes of what is known as “fusion” cuisine. Below we have shortlisted some Marbella restaurants that we have particularly enjoyed and, although the choice has been a difficult one to make, we would say that for one reason or another each of these twelve is definitely worth a visit, be it due to the quality of the food, the type of cuisine, the location, price or indeed a mixture of all.